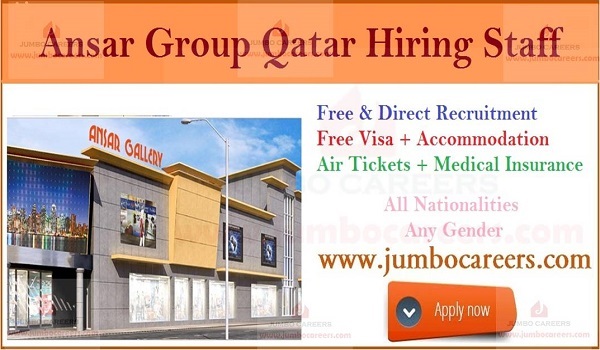 One of the largest retails outlets group of companies in Qatar : Ansar group hiring staff for their various malls/ outlets. Present recruitment includes for Ansar Gallery, New world, Ansar city, Doha city and new A & H Qatar. Its a direct and free recruitment with all benefits. About Ansar Group: Ansar Group of Companies has seventeen renowned operating centers across the GCC which are individually tailored to meet the specific needs and requirements of each market. Ansar groups Retails malls include Ansar Gallery, New world, Ansar city, Doha city and new A & H, offering the whole world of shopping convenience with a wide range of products under one roof.